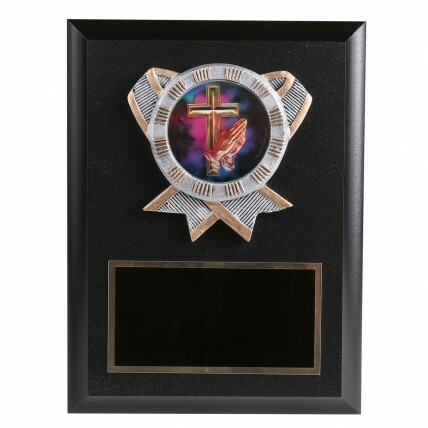 Reward religious achievements with the Prayer Religion Plaque. 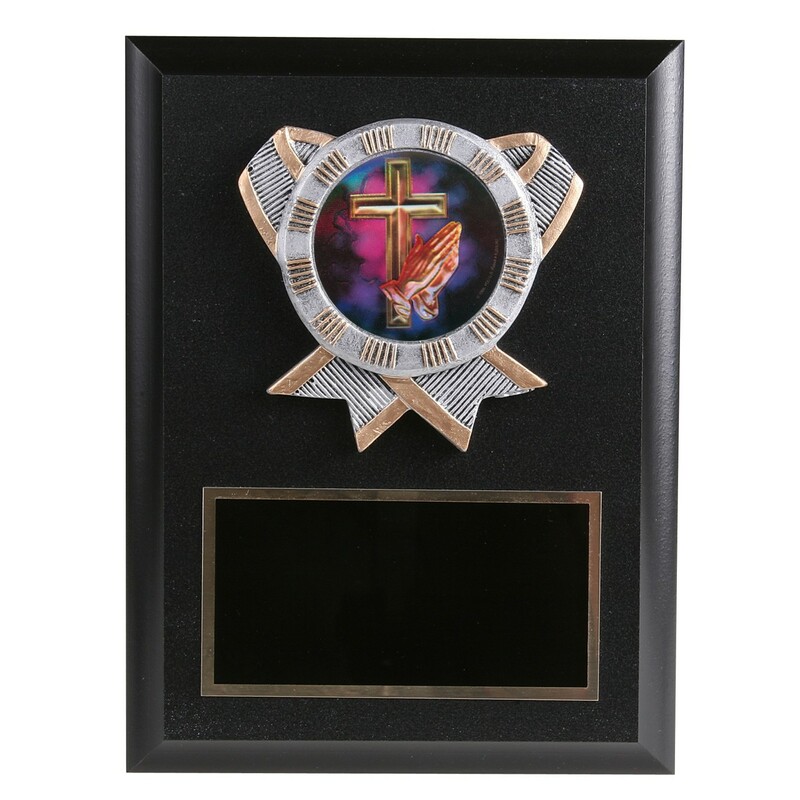 Measuring 8 inches tall by 6 inches wide, this black simulated wood plaque features a resin relief of crossed ribbons with a cross and praying hands holographic insert. A black brass plate is attached to the bottom of the plaque and engraved with gold letters.